China. Qinghai province. 2009. In the Yellow Rivers headwaters area, about 40 minutes drive from Madoi town, towards Yushu. 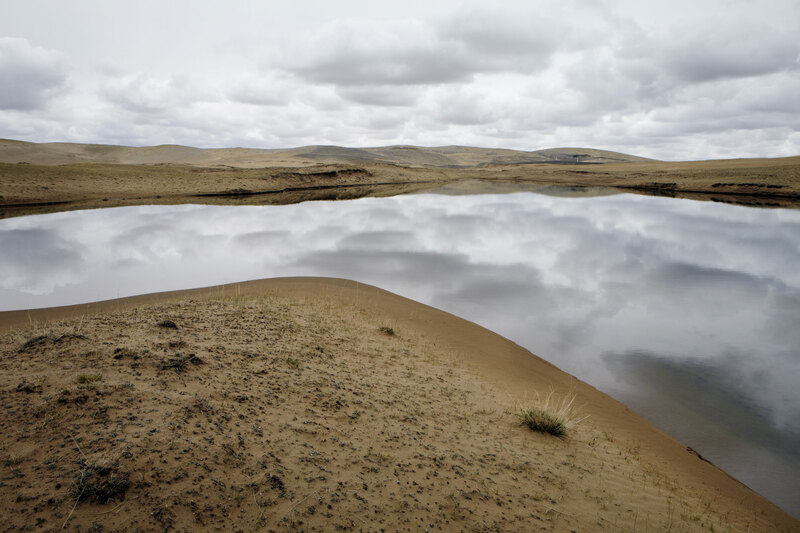 Sand dunes show the increasing desertification of the Tibetan plateau. Local herders said that this area was green with grass as recent as 10 years ago.